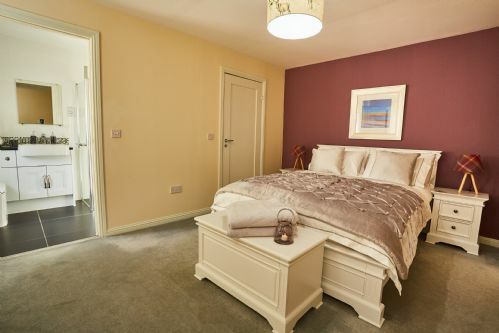 Recently built to the highest speciﬁcations, Chapelhill boasts spectacular views of the Gareloch. The house can comfortably accommodate eight people. 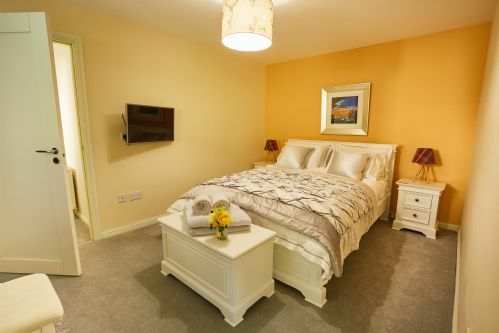 Of the four bedrooms, three have ensuite facilities with king size beds, one is a twin, and all have 32’ smart tvs with additional access to Sky tv. Fibre broadband provides an instant connection to the internet with wiﬁ available throughout. The house was huge and provided everything we needed and more. The games room was great way to spend a few hours. 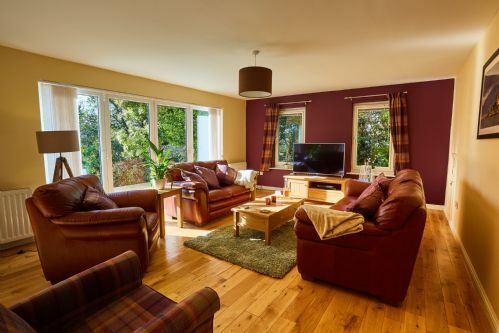 The views of the loch from the front rooms were spectacular. 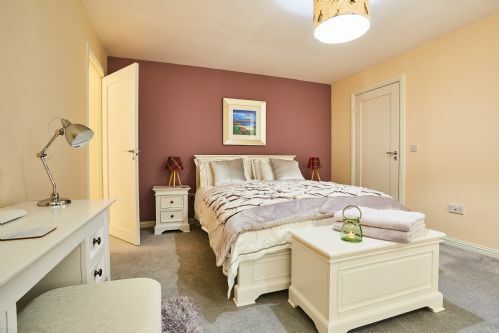 I would definitely recommend this house to anyone looking for accommodation in this area. Spent a week here recently and it was a top place to stay, lovely house and surroundings, will definitely go back. 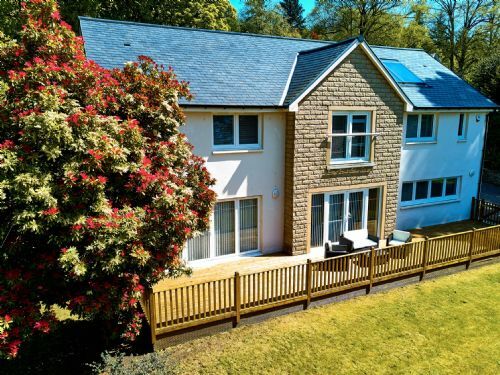 Chapel Hill is a, well-appointed house situated on a lovely verdant lawn with a beautiful view of the Gare Loch. A little burn runs down to the side of the property, its tranquil flowing waters relax you from the moment you arrive. Upon arrival we immediately felt at home and unpacked our things before setting off to explore the house and property. The first thing that welcomed us was a gorgeous dining room, complete with dining table fully set for a proper dinner party. Inside, the house was spotless, with luxury linens, comfy pillows, fabulous art work, attractive furniture, and top notch appliances. This house had everything needed for a comfortable week away. 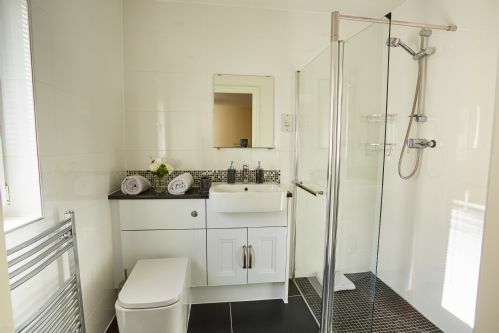 The 4 bathrooms were well planned; 2 of the bathrooms had showers with walk in access excellent for older visitors and the other 2 had full bath tubs. Entry to the house is at mid-level with a bedroom to your left and right. The lower level has a kitchen, laundry, dining and living room. Upstairs had 2 additional bedrooms and a cozy sitting room. 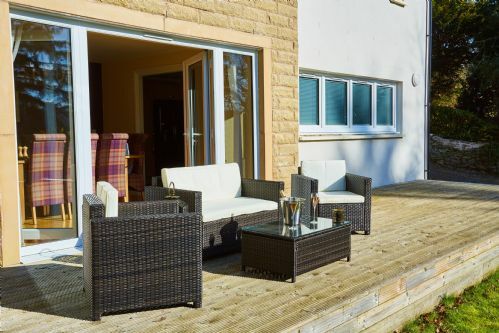 Outside areas include a well-constructed deck complete with a grill, as well as a lawn, privacy walls, excellent landscaping and access to the game room in the building adjacent to the main house. WiFi access is convenient, reliable and high speed throughout the house. 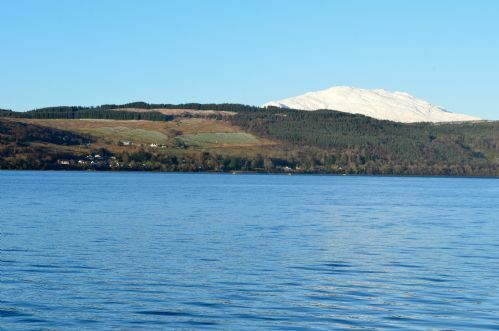 Travel to surrounding areas is an easy drive to Loch Lomond, Glasgow, Stirling, and towns deeper into Argyll. While you are there, make sure to pick up fish at the Wee Kelpie Fish and Chips, my favorite meal was thick smoked haddock deep fried with beer batter. While the nearest town is Rhu, you are less than 10 minutes away from Helensburgh, a nice sized town with great shopping. Chapel Hill’s owner really make the stay very enjoyable, with little touches that made the stay memorable. This included setting the dining room table with country-modern decor and adding some convenient groceries to the fridge, so after our long journey we didn’t have to go out to shops immediately. 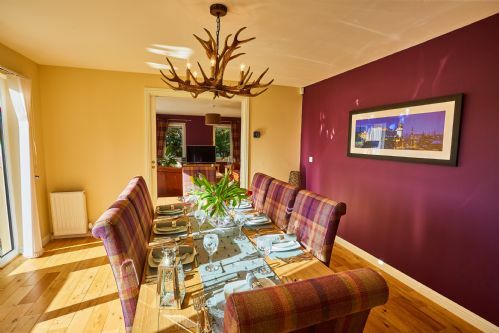 The delicious Scottish breakfast foods complemented the impeccable presentation of the house. Liz of Auchenheglish Lodges is the most responsive, organized rental agent in the area - better than any of the other 15+ places I contacted. She was able to arrange my stay in a timely fashion. Thank you, we truly appreciate the effort made by everyone and loved our stay at Chapel Hill. Chapelhill is the perfect location for a family or group of friends who want to visit Scotland and explore the Trossacks and Loch Lomand. For starters, the house is well located. 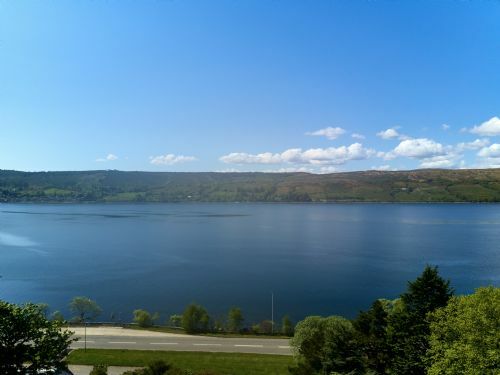 It overlooks a lake and is close to the town of Helensburgh where one can find a number of grocery stores and dining options. 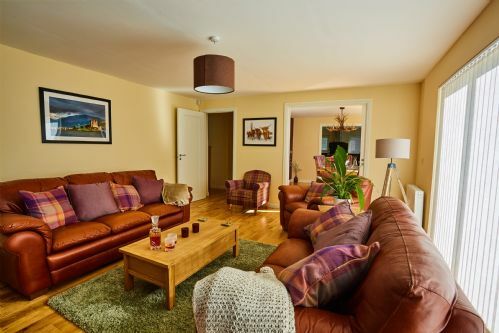 The house offers easy access to Loch Lomand and the Trossacks, and Oban is an easy day trip. Glasgow and Edinburgh airports provide easy international access from visitors outside the UK. We found Chapelhill to be clean, comfortable and with all the modern amenities. There is ample bedroom and bathroom space, and lots of common areas for family or friends to socialize. The kitchen is large, modern and we used it to cook dinner for 8 almost every night we were there. Everything in the house worked perfectly and as advertised. Lastly, Liam was an outstanding host. He was responsive, attentive and extremely friendly. LOVELY and LUXURIOUS location and incredible hospitality! My family and I had the pleasure of staying at Chapelhill in July 2018 - it was spectacular. It is nicer than the photographs show - and there was no limit to the amenities - there really was everything we could've needed. The beds were quite comfortable and clean, the decor really gorgeous, and the TV set ups in all the rooms were incredible. I traveled with my 3 year old and there was no lack of children programming to entertain him while he adjusted to his jet lag. Liam was an incredible host and responded immediately when I had a question. I can't wait to come back!!! OH - and the views of the Loch were stunning! So beautiful! 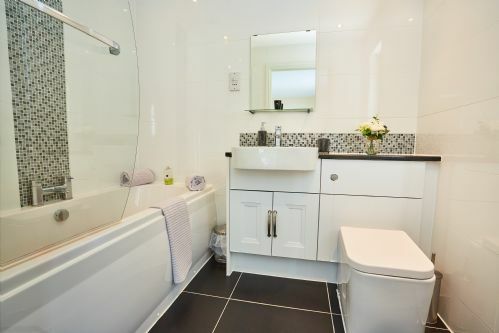 This is a top quality home, great decoration, plenty of room for everyone to have their own space. 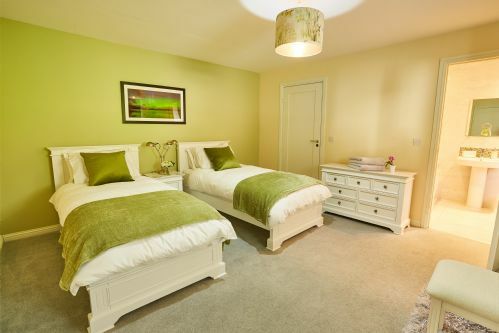 The upstairs game and reading room is a good idea and the separate games room outside is superb for all the family. Close to all the local tourist area’s, some nice restaurants close by. The main living room has Sky and Netflix which was a god send as we had terrible weather all week so ended up playing pool, table tennis and watching movies. Highly recommend! Hosts - excellent and quick responding, left us an unexpected welcome pack to greet us. Location - Excellent Views, slightly difficult to find in the dark so arrive in the day if you can - our Sat Nav took us just past the turning off the main road so we had to double back on the side road. The Hosts were very responsive with help to find the house. 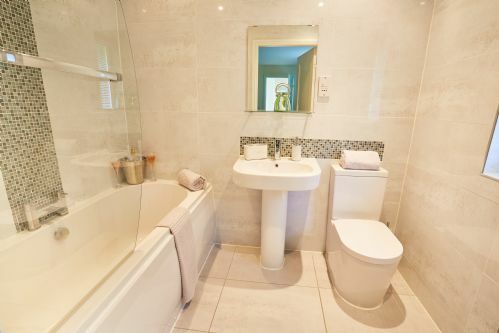 Accommodation - Excellent - Great Decor - Four bedrooms, three with en suite, all with walk in wardrobes and tv's. 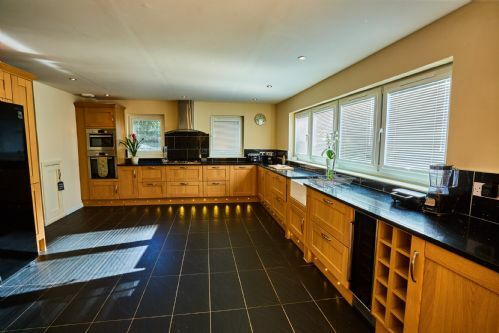 Large Kitchen (if you are tall you might not spot the knives and forks are in a top draw inside the large draw under the cooker rings), modern appliances and great facilities. Dinning room, Lounge and upstairs sitting room. Wifi and all mod cons available. 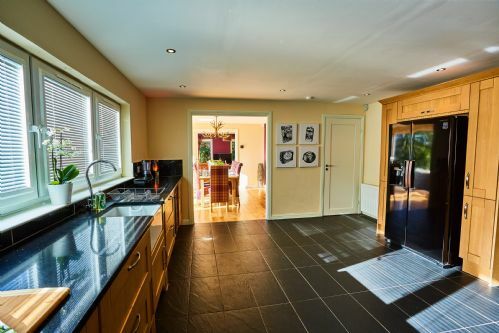 There is also a games room separate from the house. Taxi - If you are going to call a taxi make sure you know the name of one of the side roads before ringing as they cannot find you on the post code and the name of the house alone. Would I recommend - Definitely.